Video produced by Tristan Benns, Jared Holewinski, Margaret Kuhn, and Ansley Henson for English 3135 Visual Rhetoric at Georgia State University. 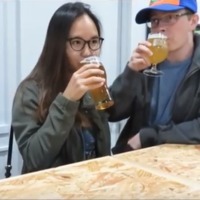 A member of our team and a couple friends pay a visit to the local brewery! November 11, 2017. Located at 2323 Defoor Hills Road, this is the second home to the brewery. Just like the original, and true to the name, we find this building to also be constructed from red brick! The brewery has a relaxed feel and welcoming environment. Long communal tables are set up to encourage socialization while college football games play on the walls. Amidst the televisions and company decorations, the brewery is also adorned with local artwork. The pleasant environment is further enhanced by a welcoming, knowledgeable staff. Team members are available behind the bar or out on the floor, prepared to answer any and all questions a customer could have. *Fun fact- none of the team members had seen the “Weird Coleslaw” Ad until we showed them! 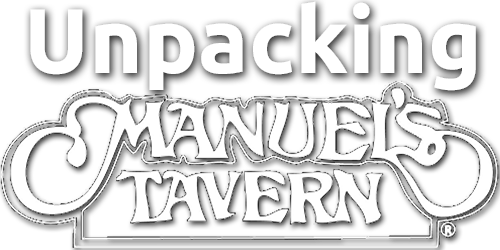 Tristan Benns et al., “Weird Coleslaw - Red Brick Brewery,” Unpacking Manuel's Tavern, accessed April 23, 2019, http://unpackingmanuels.com/items/show/1348.